Security is of paramount importance on today’s internet. We pay special attention to each server’s security to provide peace of mind for our clients. 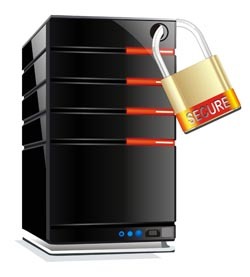 All WebHostingWorld servers undergo a ten point security inspection when they are deployed. “allow_url_fopen”. This setting allows PHP to treat any URL as if it were a file. This poses a security risk for certain PHP applications that do not correctly sanitize include and fopen statements. Most applications do not require “allow_url_fopen” and we strongly recommend that this be disabled (especially for servers running PHP4). “allow_url_include”. This setting was introduced in PHP5.2. Having “allow_url_include” disabled can allow PHP5.2 users to safely enable “allow_url_fopen” if it is needed by an application. Almost no PHP applications require that “allow_url_include” be enabled. For this reason we recommend that “allow_url_include” always be disabled. “register_globals”. This setting allows global PHP variables to be set at runtime through a URL. Having it enabled could allow attackers to modify arbitrary PHP variables. This can lead to SQL injections, arbitrary code execution, and other exploits for vulnerable PHP applications. We generally recommend that “register_globals” be disabled. Point 5: Check system binaries. We audit your server’s system binary package versions (such as BIND, apache, udev, etc.) to ensure that they are up to date and not vulnerable to any known exploits. Next post: Transferring Your Hosting Towards us.